(1) Written test conducted by the Lokrakshak Recruitment Board on 06/01/2019. The Provisional Answer Key is Published on 08/ 01/2019. Meanwhile, the scanning operation of OMR Sheet of about 6,60,000 candidates appearing in this examination will be completed in a short time. 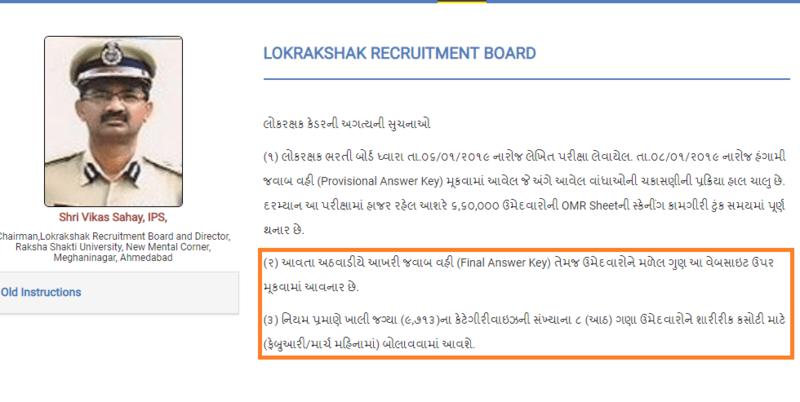 (2) The final answer key & Candidates obtained Marks(Result) will be placed on website next week.